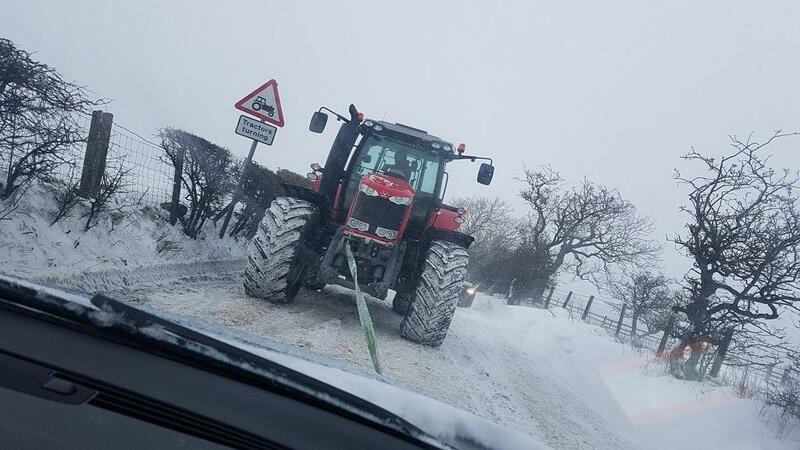 We’ve seen many examples of farmers clearing roads and towing cars to safety - so we thought why not give the Best of British some well deserved recognition! The views of our lane, we’re pretty much ‘off the beaten track’ & it’s icy. Spent this morning digging out as much as possible, we can’t afford to be ‘snowed in’ and emergency services snowed out!